A wise woman once said “you can do anything, but you can’t do everything.” It was my Mom, quoting her friend Linda, who was inadvertently quoting Hans Glint, the self help coach. This statement keeps coming to mind as Halifax heads into budget season and as the Canada Games come to a close, games that appear to have been successful by most measures. Lots of tickets were sold, some new facilities added to the city’s inventory, lots of bodies downtown for the free concerts. If my wife’s reports are correct (she is challenged in estimating crowd size) there were three or four times as many people at the Metro Centre watching the amateur hockey as watch the Mooseheads this season. Most of all, I like the vibe of the Canada Games. Amateur sport, mostly youth, enjoying the thrill of the game. I like the less corporate, more honest feel of this celebration. The Canada Winter Games happen while Halifax continues to struggle with self image issues. At 262 years old it seems the city is having some kind of life crisis. Who do we want to be when we grow up seems to be the theme. The issues seem to have polarized around two visions of the city. One is focused on sprawl, highways, car based suburban design, and big concrete towers downtown. The other is based on preserving an idealized Victorian/small town New England type feel, low to medium density buildings, clap board and brick, walking, minimal sprawl. This polarization seems to enter into sports and recreation. The success of the games now leads to the obvious question: what next? The obvious answer to some people seems to be a football stadium for the womens FIFA World Cup. To others it is the need to Save the Oval. A stadium is, possibly, but not necessarily a huge investment. Maybe we build a CFL size stadium, for $200 million. Maybe we renovate Husky stadium for the same price Moncton built the new stade at UdeM, just $17 million. Maybe somewhere in between. From the sports editor at the Herald, to the Mayor, to the Minister of Defense, a stadium is an obvious next step. Again, like the convention centre, there is not yet any business case for these folks to indorse, no idea of yearly cost. This time, however, there is a steering committee of stakeholders and citizens. Hopefully this will ensure an open and transparent process. Then there is the Oval. Free skating draws crowds. 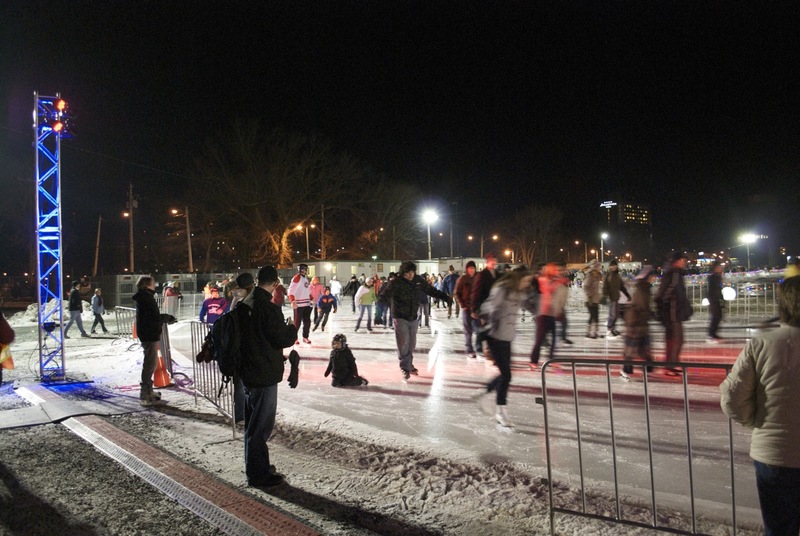 Somewhere between 150,000 and 300,000 people will have skated there before the end of winter. Costs on the Oval have ballooned. Making it permanent will have a one time cost of somewhere around a million bucks, and operating might be somewhere between a quarter million and a half million. These two competing ideas are going to have to fight it out with the police force’s funding increase, Metro Transit’s need for new ferries or light rail, and hundreds of other competing proposals. There is no common or generally accepted narrative in Halifax to guide our spending decisions. Who do we want to be when we grow up? How do any of these projects, these budget decisions get us there? The games were a success. I love the idea of Halifax positioning itself as a centre for amateur sport. Working with the universities, sports federations and the like, could we make Halifax the amateur sport capital of Canada? Maybe. But we have to choose wisely. We can do anything. We just can’t do everything. A sailing we will not go, not today, anyway!